It’s 2 sleeps till #truParis and only 2 weeks away from #TruLondon, and this week I’m preparing to go live on a big social recruiting implementation. It’s fairly crazy times, but there’s nothing new in that in Boorman world. 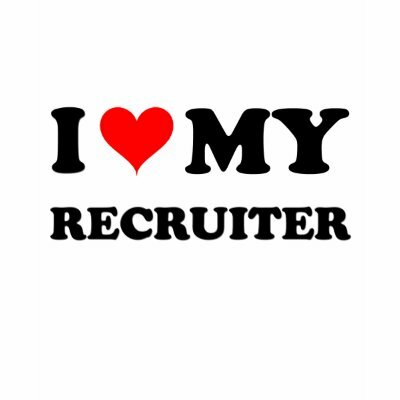 This morning I completed a screen test for a series of programs on recruiting with a researcher today, and as part of a Q&A session they asked me what it was like to be a recruiter, and my answer, without any spin was that it was, and is a privilege. Heres the thing, I sometimes need reminding that I’m a recruiter, and I don’t think I’m alone in that.Everyone who works around what I call the people space, does so with one end result in mind. It doesn’t make a difference if I’m working on a social recruiting implementation project, delivering a keynote or twitter or Facebook training, the end zone is still the same, if you’re a corporate or agency recruiter its the same, there’s no difference It applies to all the people involved in technology, digital media (in recruiting), job boards, whatever it is, we do it with the same objective, and that objective is to get people hired by companies, and to get companies the people they need to make their business succesful. Whatever the angle we are coming from, that makes us recruiters in my book, and though it is easy to lose sight of it with so much negative talk surrounding recruiting, it is a rare privilege. As a reminder to anyone who might be wondering, this is why I’ve always loved recruiting. You are empowered with trust. A company’s success is dependent on the people they hire. It is the single biggest factor, and businesses trust recruiters to find and hire the best talent. The single biggest factor in a person’s life is the work they do. Work that provides, motivates and impacts directly or indirectly on every other part of their life. People trust recruiters to make introductions and to make decisions that affect their lives more than anything else. They trust us with their careers and their futures. I’ll say it again, they empower us with their trust, and we should be proud of that. Recruiters are in a unique position to have real and meaningful impact in so many ways. However you label the people you come in to contact with in your professional life, talent, candidates, applicants, whatever, always be mindful that they are people. Not just numbers in a matrix, and that each resume and application represents someones hope and trust. We should treat it accordingly. Whatever your contribution to getting people hired by the organisations you represent either directly, as an agent or just being involved in the process somewhere, be thankful of the trust placed in you, recognise the responsibility, and be proud to be a recruiter. I consider it an honour to have worked in and around recruiting for the last 30 years, you should be to! Best post I’ve read from you. Well done. And thanks for changing the blog background as well. Cheers mate. A change was long overdue. As an inveterate nosey parker, I love recruiting too. We really are privileged to be part of the process that develops people’s lives. I often find it surprisingly emotional, as I can’t help but empathise with candidate’s stories. Very few people get to look behind the curtain every day, but we do. How cool is that? We have to keep reminding ourselves that we are good recruiters and that our personal input has a profound effect on many people. We make a positive impact on the economic and moral values of our great country. We are the ones who grease the wheels of commerce in this country. Also, very clean page, cool! As recruiters we do impact lives of the people we touch. After 20 years of recruiting, I am still thrilled to pick up the phone and connect. Never lose that passion for what you do as it is a privilege and honor to working with clients & candidates who believe in you and the integrity you demonstrate each and every day. Yes, it’s hard, but “giving back” is so worth the effort!